Price listed is for each ring. 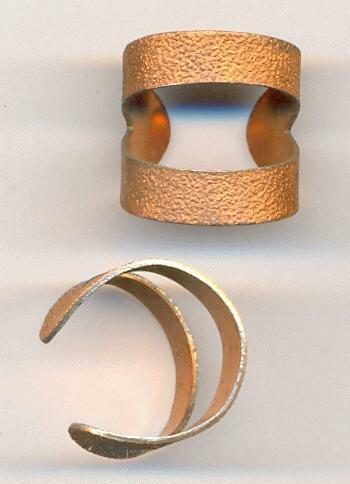 These are copper coated steel adjustable rings with a textured pattern. They have an open bottom and a 20mm by 9mm opening on top. These are great for soldering a stone setting to the top. Since these are steel they are more sturdy than the brass rings and a little harder to adjust.